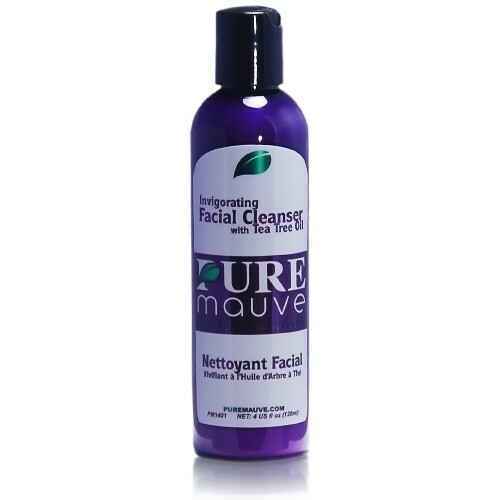 A gentle, soothing facial cleanser free of harsh drying chemicals and full of natural benefits -- PureMauve Invigorating Facial Cleanser ensures a unique, uplifting cleansing experience that reveals and restores your natural beauty. Do you know that Lather≠ Clean? Most cleansing products use harsh, cancer-causing foaming agents such as sulfates to merely make you 'feel' clean. Our facial cleanser has a pleasant creamy texture derived from plants. It gently yet thoroughly washes away dirt, grease and impurities, unclogs your pores and soothes your skin. This gentle facial cleanser is specially formulated to control and balance oil production. It effectively cleanses without stripping off every trace of protective oils your body generates and needs. 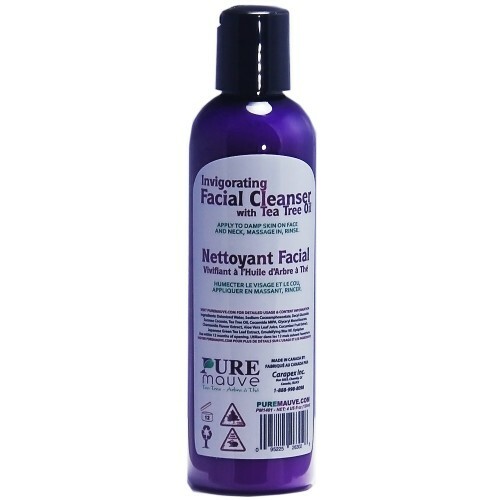 If you suffer from dry flaky skin, irritating inflammation and uncomfortable tightness after wash, it's the time that you allow our facial cleanser to take care of your skin. As proud believers of natural healing powers, we incorporated the purest natural ingredients from all over the world; carefully formulated them into this unique product; and confidently present it to you. Simply massage this soothing facial cleanser onto your face, breathe in the invigorating natural fragrance, enjoy the cooling sensation and prepare to be amazed by your clear, glowing and supple complexion. Please Note: Due to the high content of Tea Tree Oil, this Facial Cleanser has a medium menthol and medicinal scent.